The purpose of establishing information and communication technologies (ICTs) in rural areas is for development. Nevertheless, the increasing presence of the “digital divide” indicates that there are setbacks in accomplishing of this progress. A deeper understanding about the categorization of users and non-users of technologies is needed as there is an implicit element called ‘potential users' among the non-users category that decides ICT usage. In this article, the analysis of demographics and psychographics of a person plays a critical role in identifying potential users and converting them to innovators. The reasons why people do and do not use technology and categorization of users and non-users is the perfect criteria to analyse potential users among so called non-users. 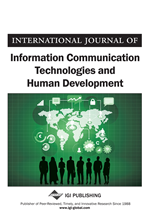 This article discusses the categorization of ICT users and non-users and the barriers of potential users for technology use. Thus, measures for transforming potential users to innovators are described. The need for digital freedom is found to be the basic requirement of potential users. It is quite imperative to identify non-users to categorize potential users. Categorization of ICT non–users of ICT vary according to the researchers, sample, context and geography. Verdegem and Verhoest (2009) categorised non–users on the basis of ASA (Access, Skills, Attitude) profile. This profiling enables categorization such as ‘incapable refusers’ (people who are unaffected by external issues like cost, access, etc., but lack the skill to master ICT and have rather negative attitude towards ICT), ‘self-conscious indifferent’ (they have skills to master ICT but they are not interested to use), ‘the willing but incapable’ (people who are willing to use but they lack necessary skills and access), skilled ICT lovers with limited access (people who have a positive attitude towards ICT as well as those who are ICT literates but lack access mainly at home) and ‘price sensitive pragmatists’ (people who are moderately skilled and motivated but deterred by cost of equipment and infrastructure). Three more additional profiles are valid for the ASA profiling such as ICT under-skilled, rejectionists/refusniks and economically less favoured. Quoting ‘Pew survey of US internet use’ and ‘Sally Wyatt’ (2002) in the study “Digital division or digital decision? A study of non-users and low users of computer”, Selwyn (2006) identified the different categorizations of low users and non-users. The Pew survey identified clusters of ‘evaders,’ ‘dropouts,’ ‘intermittent users’ and the ‘truly unconnected’ whereas Sally Wyatt (2002) brought out the distinction between ‘resisters,’ ‘rejecters,’ ‘excluded’ and ‘expelled.’ A deeper scrutiny of literatures revealed further categories of non-users and users of ICTs such as ‘broad frequent users’ (who reported using three or more different internet applications), ‘narrow frequent users’ (who reported using internet for one or more applications), ‘occasional users’ (who reported using internet occasionally/ rarely) and ‘non –users’ (who made no use of internet in the past 12 months) (Selwyn, Gorard, & Furlong, 2005). The usage categorization may vary according to minute variations like difference between ‘narrow’ users and ‘occasional’ users. Narrow users utilize internet for specific needs whereas occasional users, who are similar to narrow users, make more careful and sporadic usage of technologies.